For our purposes, microsites refer to a site that is associated with an organization, but is on a separate domain or subdomain and has its own navigation, design and content. Consumers are much more sophisticated today and want in-depth information, but they also want it quickly. Microsites provide a lightweight alternative to corporate websites, which are often loaded with extraneous content that doesn’t meet the exact need of the visitor. Also, a corporate website often fails to meet Google’s Quality Score guidelines to power Adwords ads, hence marketers push for microsite creation to highlight a certain product or promotion. By offering a few simple interrelated navigation choices, the visitor doesn’t get bogged down with the baggage of your main website’s navigation, which is removed, as well as footers and other irrelevant elements. The user is focused purely on the campaign and associated calls to action. In a study performed by Forrester Research, P&G found that a microsite like BeingGirl.com was four times more effective than a traditional marketing campaign. BeingGirl.com offered a gathering place that helped position the brand in a way that would have been lost on the main site. Ultimately, the purpose of a microsite is to provide deeper content that’s easier to consume, which P&G accomplished. Microsites are a great way to deliver a targeted message customized for different topics, issues or buying stages. For example, you can use microsites both for early stage prospects interested around a topic and later stage prospects to present a specific offer. It is generally a one- to three-page site but is not mutually exclusive of a company’s main website. It may be around a specific event or marketing campaign, but a microsite exists to cater to a very specific context, or to very specific ads or keywords where it makes sense to tailor your information to that specific user experience and need. Marketers can use the data from those choices to naturally segment their audience. You can build microsites around a set of reusable templates that let you leverage the design assets of one microsite concept across a number of campaigns. Because microsites, like landing pages, live outside the formal framework of your main website, they can often be deployed quickly. You can use A/B testing to compare the performance of one microsite against an alternative single-page landing page. The new breed of microsite is pure HTML, they load quickly, they’re SEO friendly, and they can be built quickly and inexpensively. Forces users to adapt to different user interfaces when they stumble across the microsite while exploring the main site. May cause confusion for those who saw the campaign and didn’t make a note of the URL; they may remember the company or brand, but, seeking out the company will take them to the main site and not the microsite, resulting in frustration and an aborted interaction. In order for a microsite to remain effective, it requires long-term maintenance, which can be expensive. Things move rapidly online and, as a result, websites cannot just be launched and then abandoned. A site that was fine on launch can become inaccessible for a significant part of its target audience as technology changes, as is the case with responsive design. Many companies are just now realizing that they need to make their sites accessible to mobile devices. Updating the corporate site will likely take precedence. What about all those microsites each with a different design and underlying technology? “We don’t have to explain the value we bring to the table anymore. All they have to do is go to the Labs site and see for themselves.” Scott Maxwell, CEO, OpenView Venture Partners, discussing the performance of their microsite. Nike is one of the world’s most recognized brands, yet even they see the value of launching microsites as evidenced by the above snowboarding collection. I, for one, did not know they were in the ski boot business. This microsite represents home base for all things Nike Snowboarding: boots and outerwear, team, news and more. By launching off the corporate website as a subdomain, they benefit from the SEO value of the ‘mothership’ without sacrificing usability. Visitors can quickly navigate to the content most relevant to their search. For example, someone searching for “snowboarding outerwear” will have no doubt that they’ve arrived at the right place. The segmented navigation allows marketers to gather data from those choices allowing them to further refine their brand message. Leverages the design assets of the corporate website with a clear pathway to other sections. Encourages engagement through social media and newsletter sign-up and user interaction with its responsive design. Cubist is a biopharmaceutical company focused on the research, development, and commercialization of pharmaceutical products that address unmet medical needs in the acute care environment. They launched www.battlingsuperbugs.com to provide interested parties with a resource on multidrug-resistant (MDR) pathogens. Concern is growing about the public health threat caused by infections due to a growing array of MDR pathogens. Their microsite brings together the views of physicians, scientists, policy experts and others about the problem and what we can do about it. They created a valuable resource dedicated to an important topic, tailoring the information to a specific user experience and need. Provides a focus for content that doesn’t necessarily fit on the corporate website. Built on pure HTML, it loads quickly, is SEO friendly and takes advantage of responsive design. Just in time for the holidays, we bring you ElfYourself.com, now in its seventh year. Launched in 2006, ElfYourself was the number one downloaded entertainment app last December and the number two overall downloaded app on iTunes (second only to GoogleMaps). For 2013, OfficeMax is adding four new dances, as well as an Android app. You can’t argue with success; this is a great example of a microsite going viral. Adding more functionality every year, including social media applications & allowing viewers to save and/or download the films they had created. When trying to figure out if a microsite is a good investment of time and resources, consider your goals, think of an idea that makes sense for your brand and keep it simple. Be on brand. While a microsite gives you the opportunity to break away from your corporate brand, you don’t want a complete break from messaging or the design assets of the main website. Nike does a great job with all of its microsites. ElfYourself may not have anything to do with office supplies, per se, but the holiday theme resonated with consumers and grew their brand awareness exponentially. Determine your goals. According to Social Media Judo, the goal for ElfYourself was to “warm up” OfficeMax’s corporate image. In 2008, the campaign won three Ad:Tech Awards: ‘Best Word of Mouth Marketing Campaign’, ‘Best User Defined Experience’, and ‘Best of Show’. Mission accomplished! Keep it simple. Execution should be simple and artful because people are busy — if there are too many steps or something’s unclear, they’ll click away. Cubist does a great job with making complex information accessible with videos, expert interviews and downloadable guides. In addition, their graphics and layout are compelling. Microsites offer companies a way to provide in-depth and rich media in a hyper-focused context. When visitors arrive at your site, you want to present them with exactly what they are looking for without them having to hunt for it on the corporate site. 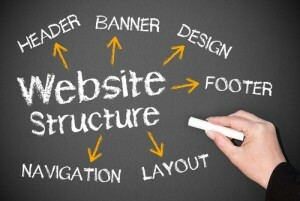 In what way are you using microsites to increase your brand’s online footprint? Are we seeing an evolution in sophisticated tactics? It seems like a nice middle ground, especially for smaller businesses, might be highly targeted landing pages. The quote from MarketingSherpa about landing pages improving conversions by 40% was very interesting and compelling. Spinning up an entirely new microsite with its own domain name and everything might not be technically difficult or expensive but getting traffic to it can be quite a challenge for smaller businesses. What do you think about the idea of developing a content rich landing page (essentially a microsite) then running a marketing campaign just for that landing page? This is a great post. At ion our customers have seen great success in using Microsites for specific advertising campaigns. In many cases a Microsite was A/B tested against a single landing page and declared the winner. Contextual relevance of your landing experiences is so important. I appreciate your comments. I think microsites represent the ‘new’ landing page for paid ad campaigns. As you say, unless you’re a big brand with a ton of link authority, its hard to gain traction when launching a new URL. Context is everything today as Asa says below. trying to do the same so step up. Landing pages are great if you can drive traffic from sources other than organic search engine eg. Social; however, if you want to rank for anything you need good and rich content these days. Don’t get flagged as a blog network though! All good examples with the exception of OfficeMax. Firstly, citing 3 awards as equaling “mission accomplished” for sprucing up a corporate image doesn’t really jibe. Secondly, being bought out by Office Depot (deal just closed 2 weeks ago, finally) shows how “engagement” doesn’t always equate to business success. I may have been over enthusiastic about OfficeMax because I just looove those dancing Elves. I wasn’t aware of the recent deal, but I wonder where the deal brokers place brand equity into the final purchase price. Seven years running with a popular holiday campaign is no small feat. I do understand your points though. Thanks for your contribution. Wonderful information, thank you very much for sharing this. Micro-sites are invaluable means for merchants and marketers to get their offer across to the prospects. the advent of Google Penguin however, has made it difficult for mini-site to rank well on search engine. It is very hard for mini-site to rank well for a given quarry to rank if not over-optimised, a situation that is seriously dealt with by Penguin. Mini-site nowadays, is more suited as a landing page for advertising campaign.